TVLogic's F-5A 5.5" IPS On-Camera Monitor with L-Series Type Plate offers cinematic image quality in a sleek, compact form suitable for use as an EVF or onboard camera monitor. This monitor features a 1080p Full HD IPS display with 160° viewing angle and a contrast ratio of 1000:1. Monitoring functions include waveform, vectorscope, and 16-channel audio level meter displays. 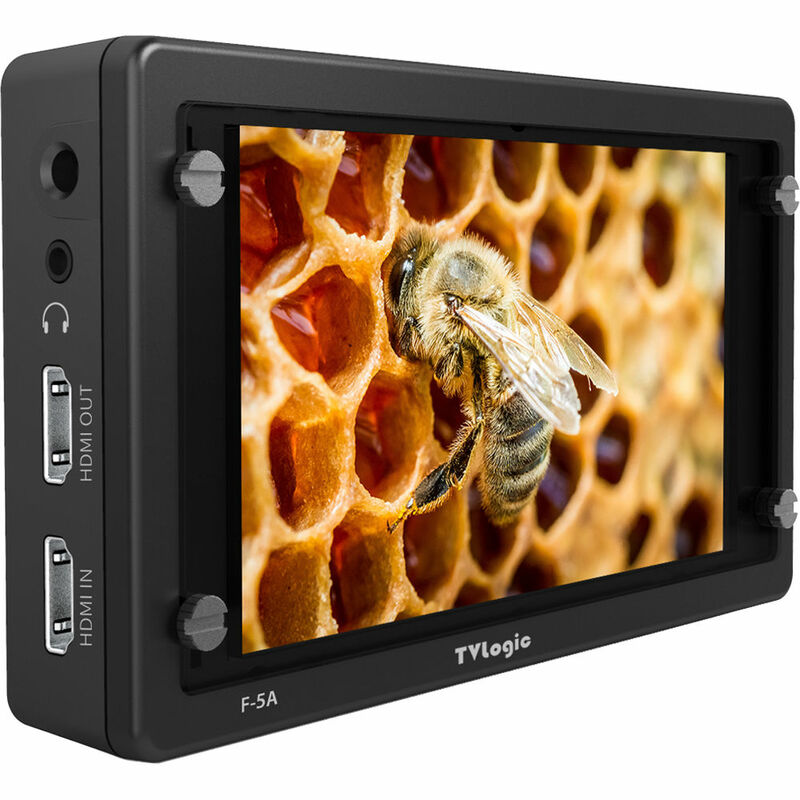 The versatile F-5A monitor has both 3G-SDI and HDMI inputs and outputs, enabling HDMI-to-SDI and SDI-to-HDMI conversion. The monitor supports horizontal/vertical image flip, timecode display, image zoom, auto/manual aspect ratio selection, and blue/mono-only modes. The monitor supports ARRI camera metadata as well as HDR emulation of PQ, HLG, and SLog3. Pro-style focus assist functions like peaking boost help your assistant keep your image sharp. Power the F-5A using a separately available battery and either the integrated Sony L-series type battery plate, the included D-Tap cable, or via a separately available AC power supply. Tally in is supported by the connector on the back of the monitor. Note: The screen protector and AC power supply listed in the VFM-055A manual are no longer included.